The roof over the tracks of Rotterdam Central Station is covered in solar panels. The striking hall roof points towards the city centre. Historic elements from the former station building (1957) by Sybold Van Ravesteyn have been re-used, like the original clock in the front façade and the letters spelling out ‘Centraal Station’. * Benthem Crouwel Architekten, MVSA Architects, West 8 Urban Design & Landscape Architecture. DID YOU KNOW? Sign up for an Open Tour on the weekend via De Rotterdam Tours: a one-hour tour of the Markthal. You’ll find a market hall in various worldclass cities, but the combination with luxury housing makes the Markthal the first of its kind. The apartments are arched over the market in a horseshoe configuration. Look up to enjoy the massive artwork: the ‘Horn of Plenty’ by Arno Coenen and Iris Roskam. The Cube Houses are part of the Blaakse Bos (Blaakse Wood) development. The architect wanted to design a kind of village within the city and saw the houses as trees and the whole area as a wood. Visit the Kijk-Kubus (Show-Cube) to experience what life is like in a Cube House. MUST DO! Looking for a view of the city skyline from the water? Splashtours, a guided tour in a bright yellow amphibious bus, passes various Rotterdam sights before taking a dip (“splash”) in the Nieuwe Maas. DID YOU KNOW? The ss Rotterdam is permanently moored at the tip of the Katendrecht peninsula. The general areas on the ship, including the restaurants, are open to the public. The 800-metre long Erasmus Bridge spans the Nieuwe Maas River. The bridge is part of the redevelopment of an old port area and was specifically designed to be an iconic structure to give the area a strong presence. The suspension bridge has a 139-metre high steel pylon, which is secured with 40 cables. The shape of the pylon gave the bridge its nickname: The Swan. Architecture aficionados will be astounded by the Wilhelminapier. The world’s most famous ‘starchitects’ have erected buildings here. Álvaro Siza, Renzo Piano, Francine Houben, Norman Foster – and Rotterdam’s own Rem Koolhaas (OMA). His De Rotterdam is an iconic example of urban architecture. The three linked towers are nearly 150 metres high, forming a ‘vertical city’. The name refers to the ss Rotterdam, the steamship that once sailed a regular route to New York. The Euromast observation tower was constructed to mark the Floriade gardening extravaganza. The tower is made from reinforced concrete. The Euromast lift takes just 30 seconds to whisk visitors to a height of 100 metres, where there is an observation deck and brasserie restaurant. The Euroscope revolving lift takes people up to 185 metres. Acclaimed and denounced in equal measure by architecture critics all over the world, the square was built on the roof of a parking garage. Various materials were used in its construction, including an epoxy floor, steel and natural stone plates, and wooden flooring. The bent red lamp posts are evocative echoes of dockside cranes. Henri Evers (1920) MUST DO! For more architecture, book a guided city walk through the heart of Rotterdam with Leijnse Stadstours. The City Hall was one of the few buildings to survive the bombardment in 1940. The listed building in Beaux Art style with Byzantine, Roman and Art Deco influences is symmetrically structured around an inner courtyard. The mayor’s office is on the first floor of the right corner pavilion. The Timmerhuis is a historic building behind city hall which has a new addition designed by OMA. The new building is made up of square blocks. The construction only has contact with the ground at two points and this gives the effect of a swaying cloud of pixels. DID YOU KNOW? In front of the Laurenskerk you can find the statue of Desiderius Erasmus, a famous Renaissance humanist, theologian and philosopher who was born in Rotterdam around 1468. Once an insurance firm, it is now a lively meeting point named after the buildingâ&#x20AC;&#x2122;s architect. Traces of the original structure of the glass-walled offices can still be seen in the large open space, as well as many authentic details. The Late Gothic church is the only building still remaining from the medieval city centre. The church received its current shape around 1525, but took heavy damage during the bombardment in May 1940. DID YOU KNOW? The municipality of Rotterdam expects to start renovating Museum Boijmans Van Beuningen in 2019. Other museums will showcase parts of the collection in the coming years under the denominator ‘Boijmans Next Door’. The building of the Netherlands’ oldest museum consists of three parts, each with its own function and character. The tower above the old entrance is distinctive and still prominent in the city. The Kunsthal Rotterdam is housed in a striking building designed by OMA. The way that it joins the Westzeedijk, it resembles a modern version of a traditional Dutch dyke house. The six-metre gradient is bridged by a system of sloping ramps. This striking building houses a museum of architecture, fashion, design and e-culture. The building consists of several elements which form a harmonic ensemble with the surrounding environment. By lifting the archive of the museum, an arcade was created beneath it. The Sonneveld House is one of the bestpreserved houses in the Nieuwe Bouwen style, the Dutch branch of the International School of Modernism. A part of the New Institute, the Sonneveld House is a museum home open to the public. This national monument is a typical symbol of post-war reconstruction. The huge structure, 220 by 85 metres in size, was built in the early 1950s. There are offices and shops distributed across various levels, with a 1.5 kilometre ‘road’ through them. It is a leading meeting place for entrepreneurs. DID YOU KNOW? Urban Guides organizes tours for the factory. In under an hour, Van Nelle’s architecture and history, the production and the transformation of the plant to a new future are all covered. Het Industriegebouw is from the same architects as the Groot Handelsgebouw. Both buildings have been a national monument since 1991. Its function as a business complex has been restored, it houses a variety of companies from tech start-ups to architects (re)creating the city and from your favourite concept store to breakfast diner. The Van Nelle Factory is a classic example of the Nieuwe Bouwen school of Dutch modernist architecture. The ingenious building was designed to provide all the facilities for the employees close at hand, keeping the building fully above-ground to create air, light and space. It was declared a UNESCO World Heritage Site in June 2014. MUST DO! Discover the special Monuments & Botanical route by downloading the English version of the Diergaarde Blijdorp app. In 1937, Rotterdam Zoo had to be moved from the city centre to make space for urban development. Architect Sybold Van Ravesteyn was commissioned to design the zoo. It was the first in the world to be entirely designed by one architect. The Luchtsingel connects Rotterdam North to the centre and revitalises a forgotten area. The project consists of a wooden pedestrian bridge of 390 metres, The DakAkker (Urban Roof Farm) on Schieblock, a public area at the former Station Hofplein (Luchtpark Hofbogen) and park Pompenburg. The former station building is now home to a number of restaurants, shops and a jazz club. The railway drawbridge was originally part of the rail line between Rotterdam and Dordrecht. De Hef was no longer needed once the underground rail tunnel was completed, but this national monument is still a defining element in the city skyline. The Coolsingel, Rotterdamâ&#x20AC;&#x2122;s central boulevard, will be completely renovated in the years to come. There will be less space for cars and more space for pedestrians, cyclists and for green. The public art depot for the Museum Boijmans Van Beuningen provides an enormous amount of storage space for art, accessible to the public. Furthermore, there is a sculpture roof garden and a restaurant with a beautiful view over Rotterdam. Feyenoord City is a city area development with a new stadium (to be built partly on the water) for football club Feyenoord at its core. There are also houses and restaurants planned for the area which will provide a boost for Rotterdam Zuid. Fenix II, one of the old quayside warehouses on Katendrecht, will be restored by Bureau Polderman. The ground floor will offer a mix of creative, culinary and cultural activities The Chinese firm MAD Architects has been contracted to design a panoramic viewpoint on top of the historic Fenix warehouse. 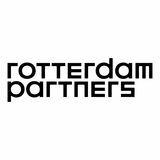 Visit Rotterdam Tourist Information for information, inspiration, tickets and the best Rotterdam gifts. Visit Rotterdam Discovery 29 at Rotterdam Tourist Information Coolsingel to kick off your visit to Rotterdam. Vredenoo rdlaa F.v. Eedenst n r.
Travel through history to explore the biggest ocean steamer ever built in the Netherlands and find out what a large cruise ship has to offer and what life was like onboard.